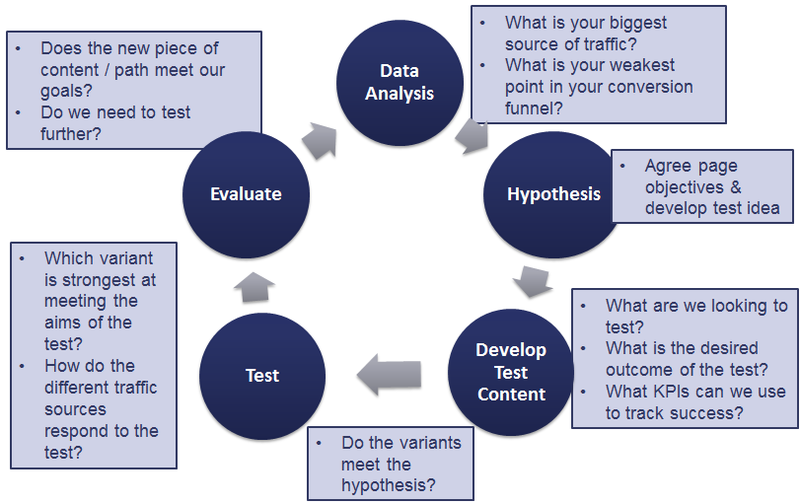 The independent variable in an A/B or multivariate test are the variables that we hypothesise will influence the conversion rate or other KPIs. If there is a significant change in the dependent variable (e.g. the conversion rate) we reject the null-hypothesis.